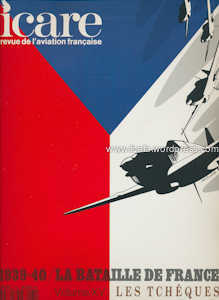 An interesting French publication giving a detailed French perspective about the Czechoslovak airmen who served in l’Arme d’Air in France and fought in the fierce, but brief, Battle of France until the French capitulation in June 1940. The publication is well illustrated with numerous black and white photographs from that period. 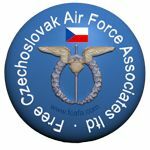 “It is quite belatedly that Icar is dedicating a special issue to our Czechoslovak friends who had fought alongside us during the Battle of France. After humiliating and selling of the Czechoslovak Republic, which we helped to baptise, we were not able – hoping to avoid the war – to treat properly those who placed their confidence in us. These men experienced Nazism before our country was ravaged by it. They were very disappointed when they arrived to France. They found a nation, which would soon engage in the “strange war”and in which the reports from the front would repeat continuously that there were “no observations to make.” They could therefore evaluate our disorganisation and “let-it-be” attitude. If some of these comments are severe, they are based on the truth, unfortunately. 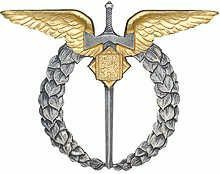 From the 10th May, they were welcomed with great happiness like brothers by their comrades in French squadrons who also had to suffer the great mess(y situation) which had established itself (in France). This entry was posted in Books, France. Bookmark the permalink.